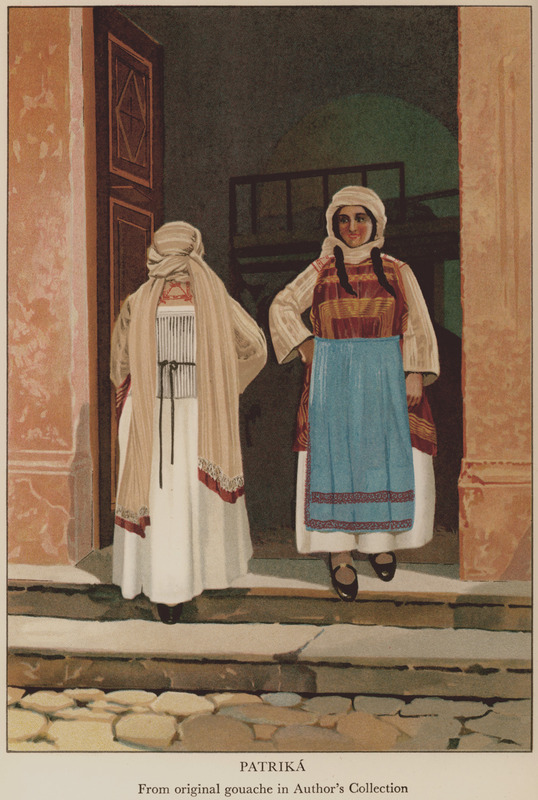 Costumes from Patrika, Chios. Original gouache in author's Collection. 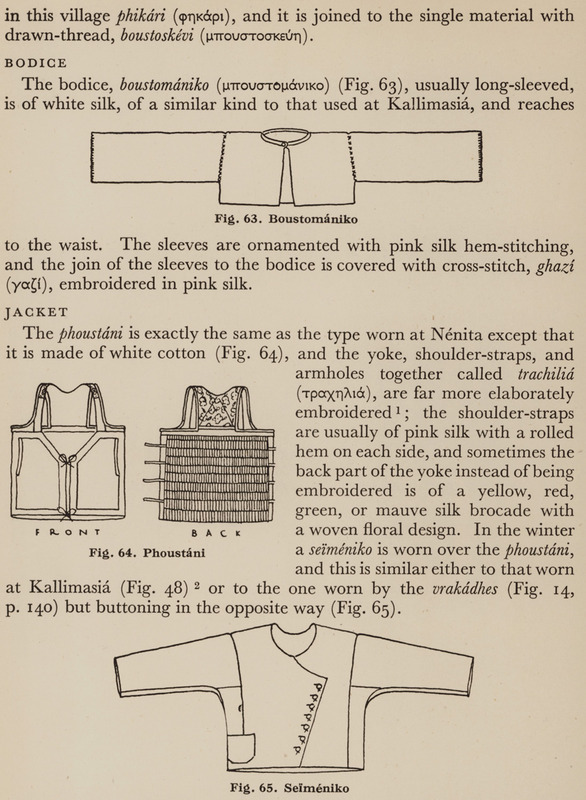 Clothes from Patrika, Chios.Fig. 63. Boustomániko(short shirt), Dress, Seiméniko jacket. 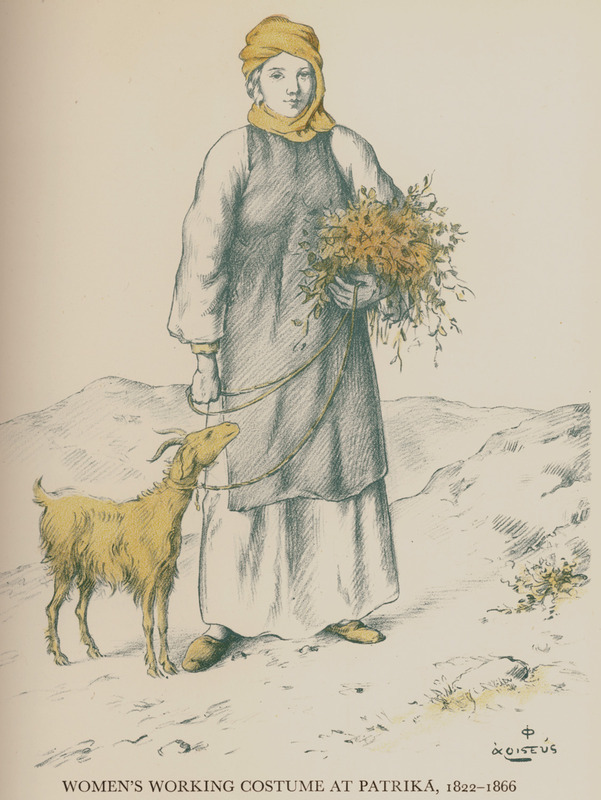 Women's working costume from Patrika, 1822-1866. From A. Karavas, “Τοπογραφία της Νήσου Χίου συνταχθείσα μεν υπό Α.Καράβα εκδοθείσα δαπάνη Δ. Φκιαρόγιαννίδου. Εν Χίω, εκ του Τυπογραφείου Κ. Μ. Προκίδου” [Topography of Chios, written by A.Karavas and published at the expenses of D. Fkiarogiannidis...], Chios, 1866.